Have you noticed those huge billboards that have sprung up in town over the holidays – they feature a trumpet player and the name ‘Wynton Marsalis’? Well, that means the 17th Brno JazzFest, one of the biggest jazz music festivals in the Czech Republic, is about to hit the concert halls and clubs of Brno. Wynton Marsallis. Brad Mehldau. The Pavel Wlosok Trio with Rick Margitza. The Donny McCaslin Group. Avishai Cohen. Unless you’re a jazz fan, you haven’t probably heard of them – but they are household names in the Jazz world and they are coming to Brno. The 17th Brno JazzFest opens on February 1 with Jazz at the Lincoln Center with Wynton Marsalis, virtuoso trumpeter and bandleader, composer and educator. Often criticized as a conservative, Wynton Marsalis rejects “fusion” jazz with its electronics and rock, along with the practice of free jazz, and continues with the tradition of jazz inspired by Louis Armstrong and Duke Ellington. Marsalis has received extensive media coverage as a serious musician who has helped bring jazz back into prominence and is therefore well placed to open this year’s festival. It’s not his first time either. In 2016 he performed to a sold-out audience at Sono Centrum. This year a bigger venue at the Bobycentrum will cater for his numerous fans. The second scheduled concert is pianist, Brad Mehldau. The JazzFest website describes him as “one of the most lyrical and intimate voices of contemporary jazz piano” who “embodies the essence of jazz exploration, classical romanticism and pop allure”. Mehldau has the unusual habit of appraising the pianos he performs on and on keeping detailed statistics in his notebook. Apparently, the artistic Director of the Festival, Vilém Spilka, is fervently hoping that the piano in the Besední dům is up to standard. But you will need to judge for yourself. His solo concert is scheduled for February 18. You will have to wait until March 15 to get your next jazz fix. The first act is a trio led by Pavel Wlosok, a Czech pianist and composer living in the US, together with Rick Margitza, an American tenor saxophonist who got his start with Miles Davis. The Donny McCaslin Group follows, with their last album Beyond Now. 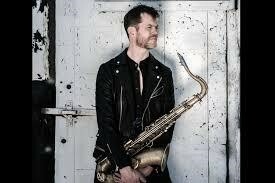 Saxophonist, Donny McCaslin, finally succumbed to the spell of electronic boxes when he was working with David Bowie as the backing band for the Blackstar album. “David allowed Blackstar to be what it was going to be regardless of how people might have categorized it. More than anything, it was his fearlessness in crossing musical boundaries and genres in his music and life that inspired the risks I’m taking in Beyond Now” says McCaslin. So don’t expect to pidgin-hole this man! The last of the headline acts announced to date, Israeli-American bassist, bass guitarist, singer and songwriter, Avishai Cohen, returns to Brno with a new expanded band and a repertoire based on his recent album, ‘1970’, with its recurring theme of lost love and hope. Cohen is rightly famous for a unique fusion of Judeo-Spanish folk songs, jazz, and classical music. ‘1970 has been described as ‘a warm and earnest album, with a throng of rich tones and groovy melodies’. Personally, I can’t wait. The full program features 14 events, from February to May. The program was launched on the 25th of January and you can buy tickets for here. But there’s more! You can usually find a jam session in the Music Lab after every event that, if you’re lucky, might include the concert musicians themselves. Workshops (in English) will also be held throughout the festival period in the Janacek Academy. Whether you are a fan of avant-garde jazz or jazz rock, there will be something for you. Even if you’re not a jazz buff, be adventurous. Try something new. After all, that’s what makes the people of Brno special! 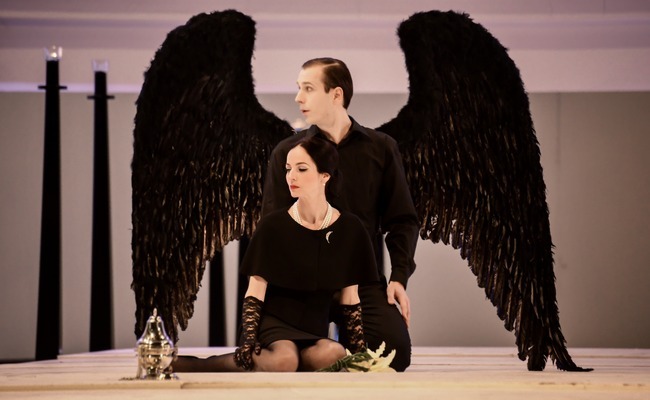 Did you know that we are living in a ‘golden age’ for Brno opera? Whether you are an opera buff or a newcomer – there will be something to tempt you in 2017/2018.